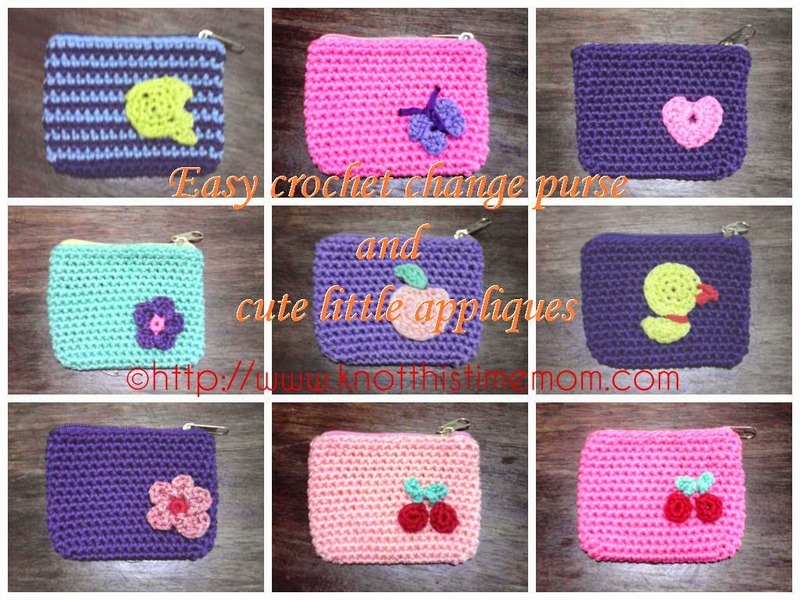 Anyways, here is my latest project, a quick and easy way to crochet a coin purse with cute appliques suitable for beginner. I used tiny cord but any type of yarn will do and a 4mm hook. Round 1: Chain 16. 2 sc in second chain from hook, sc 14, 3 sc in the last ch. Working on the other side, sc into the remaining sts until end. Sl st to join. Round 2: Ch 1. 2 sc in same st, 2 sc in next. Sc in next 14 sts, 2 sc in next 3 sts, sc in next 14 sts, 2 sc in last st. Sl st to join. Round 3: Ch 1, sc in same st, sc across. From here, start working the round continuously. You may use a stitch marker to mark the beginning of each round. Round 4-15: Sc across until round 15. Attach the zipper by sewing it on the sides of the opening.